Tale of the Tape Melbourne. | | Quiet Lunch. 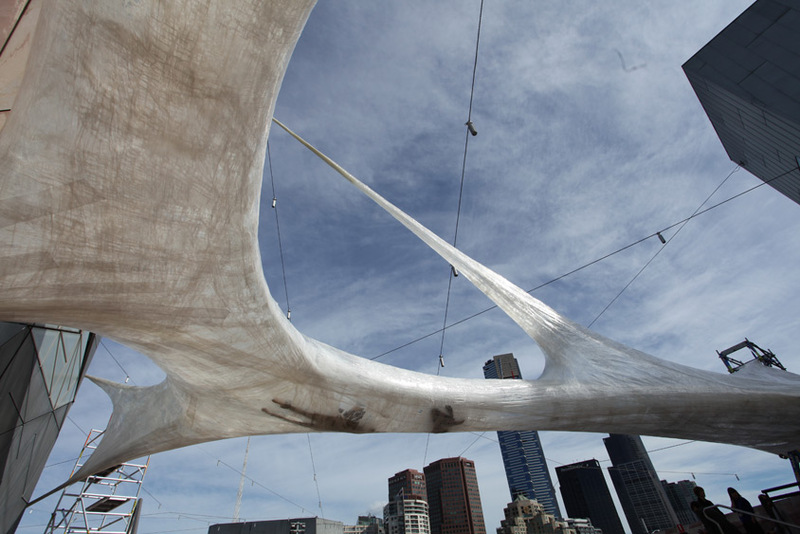 The Tape Installation has come to Melbourne’s Federation Square. 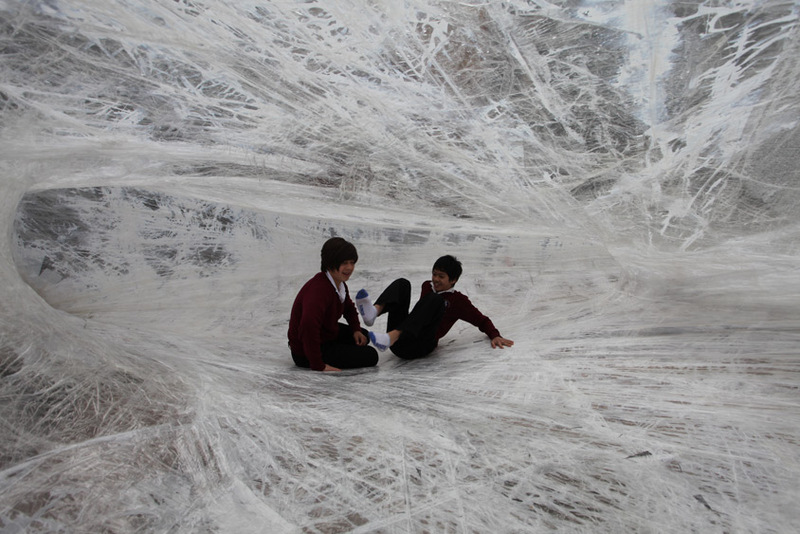 According to Numen — which consists of Sven Jonke, Christoph Katzler, and Nikola Radelkjovic — the installation was commissioned by Melbourne’s main civic centre and cultural district Federation Square as a part of their Creative Program focussing on experimental large-scale public art and its social and communal relevance. Photo Courtesy of Fred Kroh. 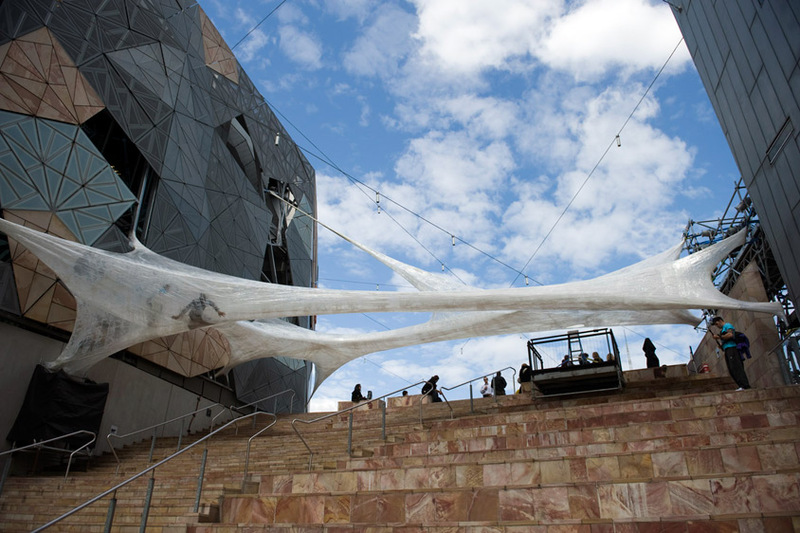 The installation spans full 16 meters stretch of the Fed Square’s Western Terrace making the greatest span traversed by a Tape Installation thus far. Constructed with the help of special platforms as it projects from the external walls of the Fed Square’s SBS building, it is at the height of 6 meters above ground. It is the first Tape Installation outside of Europe and below the equator. Photo Coutresy of Fred Kroh.